They were silent almost two year, and I started to worry that G.O.D. was about to split up. But, then this split showed up and calmed me down. Finally, some new songs from this unique gore machine. Ok, I must admit these Canadians didn’t disappoint me, pumping energy hits me from the very first riffs. Pitch shifted vomit eructations with classical yelling, fast and buzzing guitar sound, noisy bass and that snare sound, everything still there. This is boiling sound mass could be compared with a creature from the Blob movie, haha! Domesticated’s side starts with slow, gloomy and melodic intro, first my thoughts were about some kind doom metal, but when the first riffs begins, that thought was wiped away. 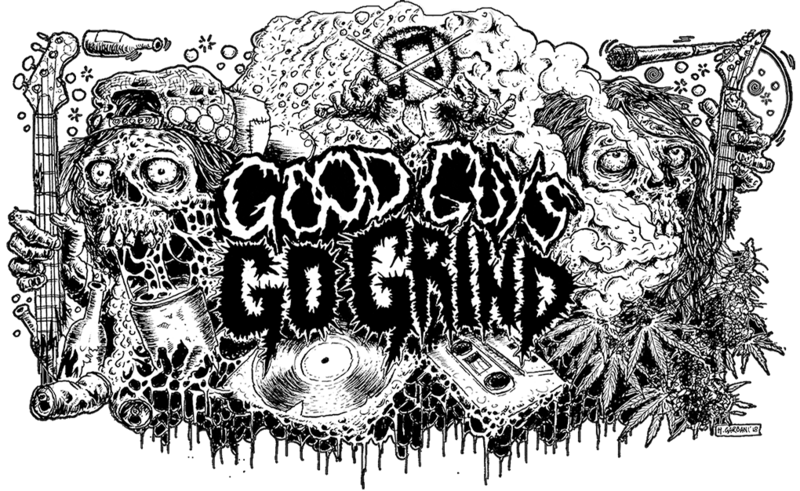 Domesticated is playing gory deathgrind with really dirty and messy sound. Yes, the production is bad but not awful, I still can recognize most of the riffs and drum beats. By the way – talking about riffs and songs writing, this song (Exorcism Of Lunar Spectre) has a ton chips of tasty old school death metal. The structures are mostly simple, with few cool guitar solos + this one song has very raw atmosphere and I really love it. Maybe this side is not punching as G.O.D. one, but this band still worth of checking. Remember guys,keep the underground music scene strong by supporting the artist/band/labels. Get your physical copy HERE! Previous Previous post: Split Rust/Tunkio is out now at B.O.G rec! Next Next post: Camphora Monobromata and Constrained Ferocity are going to small trip!